Like any great movement, the concept for the Maritime Republic of Eastport began in a local pub over a couple mugs of beer. 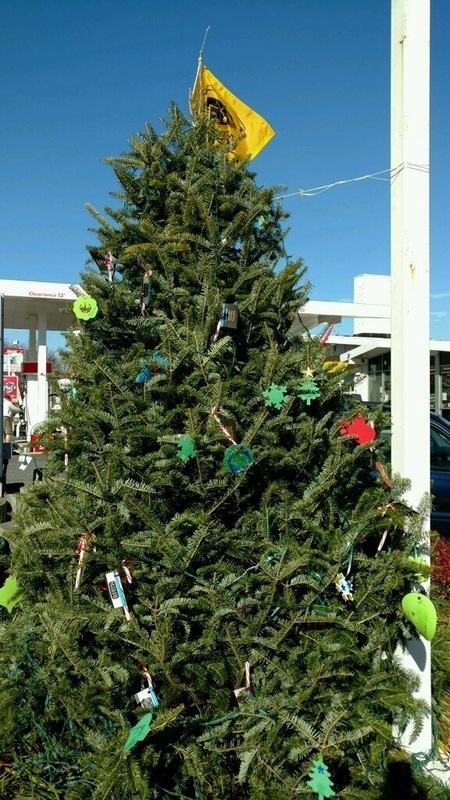 The prime mission was to find a creative way to promote and encourage the patronage of Eastport businesses that were destined to be hurt by the Maryland State Highway Administration's shutting down for repair of the drawbridge connecting mainland Annapolis with the Eastport peninsula. The citizens of Eastport took advantage of their isolation to sever their social, political and economic ties as well. The goal was to foster a spirit of independence and merriment in a manner befitting the character of Eastport and at the same time, to celebrate Eastport's proud heritage and quality of life. So the Maritime Republic of Eastport was founded on Super Bowl Sunday, 1998, when patriots residing on the Horn Point peninsula rose up in revolt against the snobbish suppression of "Annapolis Proper" across the harbor. Since that time, MRE has become a force in the community, doing good for the community and having fun at the same time. MRE meetings and activities are open to all. 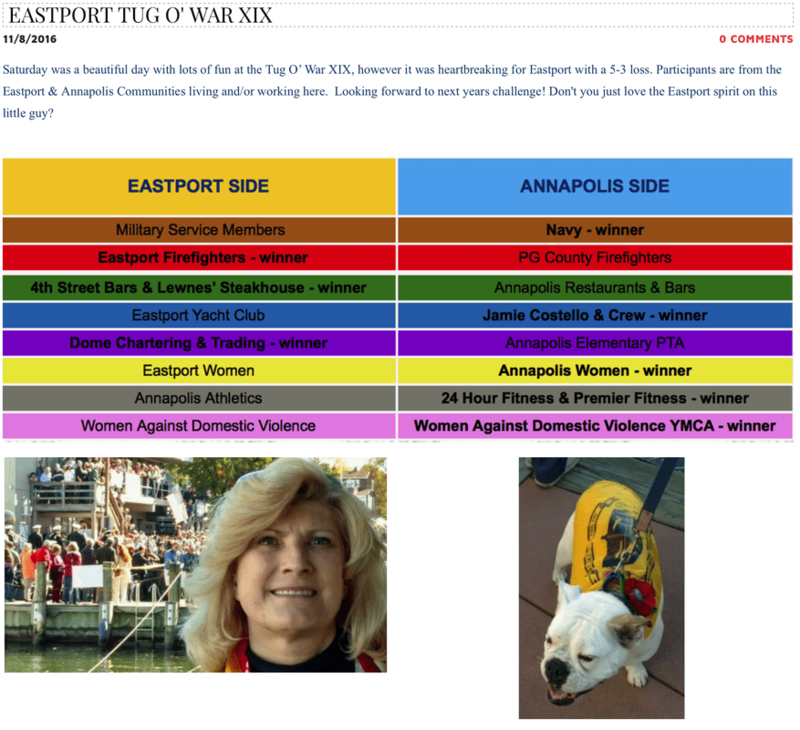 Each year, Eastport sponsors a Tug of War between Eastport and the City of Annapolis:Once a year, local and national attention focuses on the Annapolis Harbor — or, as we like to call it, the Gulf of Eastport — for a competition unlike any in the world: the Slaughter Across the Water. It is the longest tug of war over a body of water in the world. The Tug is staged between the Maritime Republic of Eastport, the MRE, and Downtown Annapolis, featuring a 1700’ rope, over 350 tuggers, and more than a thousand spectators. The Tug transforms Downtown Annapolis and Eastport with a festival-like atmosphere that includes food vendors, cheering crowds, and all sorts of local color. This year’s Tugfest will include food and beverages, live music, and a silent auction. The Tugfest will begin at 11 a.m., the Tugging begins at the Crack o’ Noon and the party lasts until 5 p.m.
Eastport also has a walking tour we just recently went on. Click here to check it out for yourself! As you can see, Eastport is full of great homes and activities. If you'd like to see homes for sale in Eastport, check them out here!